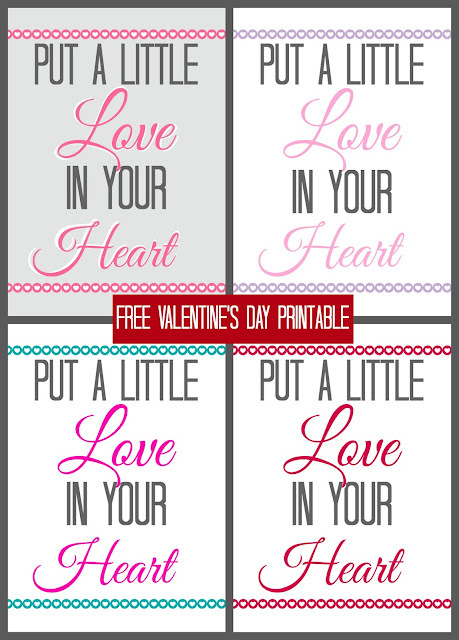 Valentine's Day Free Printable! 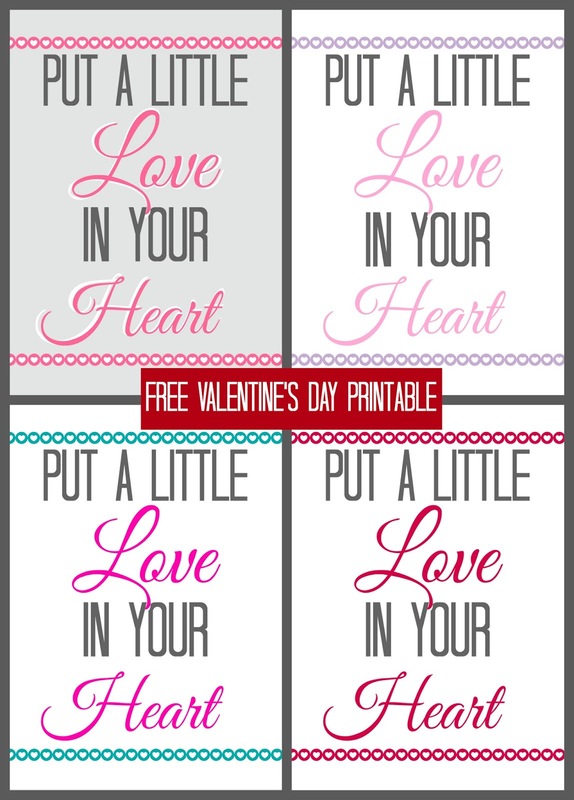 | Occasionally Crafty: Valentine's Day Free Printable! I'm a little surprised at myself. I actually completed something for Valentine's Day in January! Usually I am scrambling at the last minute before holidays to get my decor projects done. I still have two Christmas projects that I didn't get to sitting in a box. Boo. 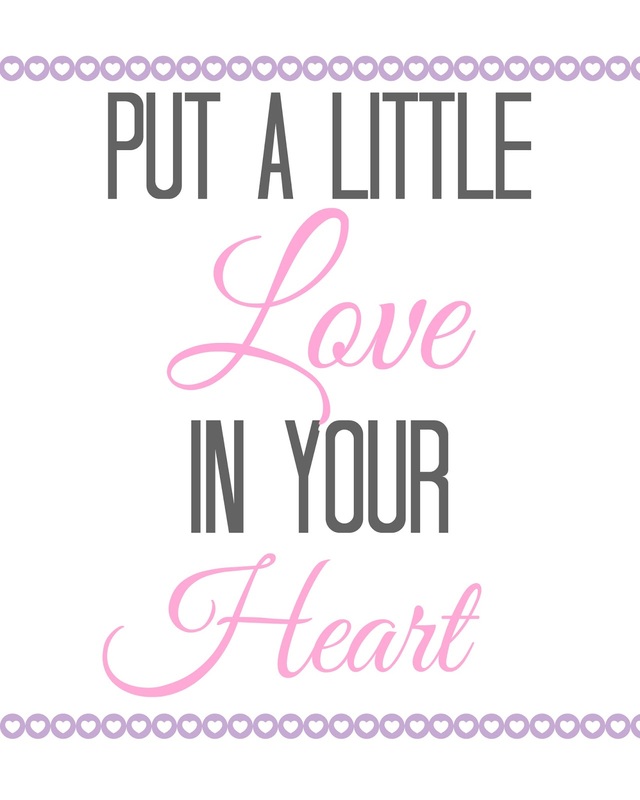 Not this time, though-- I made a sweet little Valentine's day printable for you! I've made it in a few different color schemes so it goes with your decor. You can print up to an 8x10. Simply choose the one you want, click to open the image in a new tab, then right-click and choose "Save As" to download it to your computer. I'm not a huge fan of Valentine's Day decor, but I do like to put up a few things, and this will certainly be one of them!